Smartphone makers are constantly innovating to remain relevant. But the most recent and intriguing innovations haven’t been coming from the big guys will all the money like Apple or Samsung. 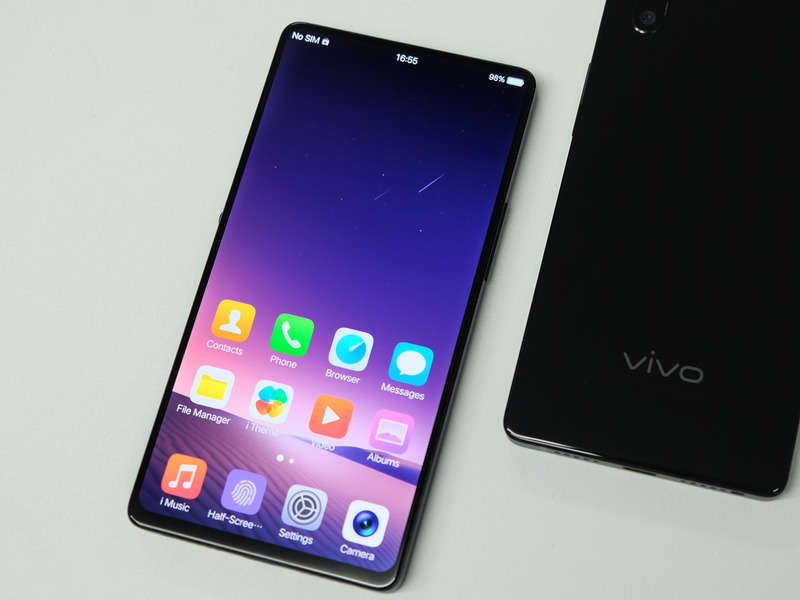 Out of nowhere, a relatively unknown Chinese smartphone company called Vivo has been making a splash in the smartphone scene this year, and it’s coming out with some really interesting innovations that we rarely see from big smartphone makers. Vivo was the first company to successfully embed a fingerprint scanner underneath a smartphone display. At CES 2018, Vivo showcased the first phone with an invisible fingerprint sensor that’s embedded underneath the display. Why is that so great? It keeps the practicality and reliability of the front-facing fingerprint sensor without the need for a wide bottom bezel. 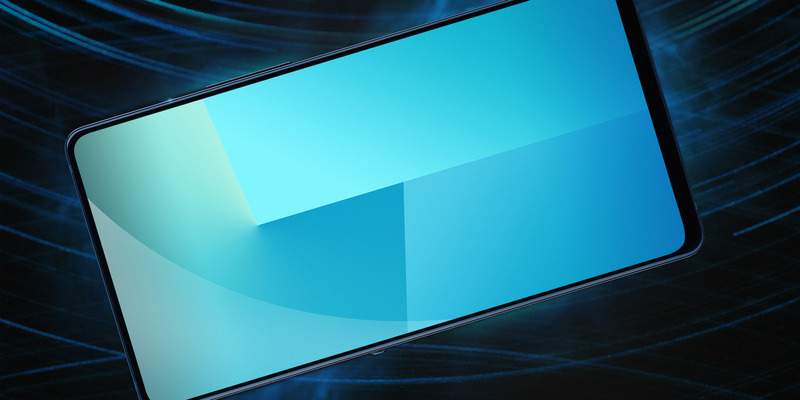 In turn, the lack of a bottom bezel allows for a premium, modern bezel-less smartphone design. This saves smartphone makers from placing the fingerprint sensor on the back. It’s actually more natural to have the fingerprint sensor on the back, but it forces you to pick up the phone to unlock it. I surely can’t be the only one who misses unlocking phones when they’re resting on a table. Now, Vivo is making those invisible fingerprint scanners underneath its smartphone displays really, really big. Vivo introduced its Apex Full View concept phone at MWC 2018 with a massive fingerprint sensor under the display. The innovation here solves the main problem with front-facing fingerprint scanners, where it’s not always natural or comfortable to contort your thumb to the bottom of the phone. Vivo’s concept lets you place your thumb closer to the center of the display, which is more comfortable, and it has a much larger sensing area than normal fingerprint scanners so you don’t have to be so precise with your thumb. Vivo has also come up with a way to do something no other smartphone maker has been able to achieve. VivoThe top bezel of the Vivo Apex is on the left. The right is the bottom of the phone. 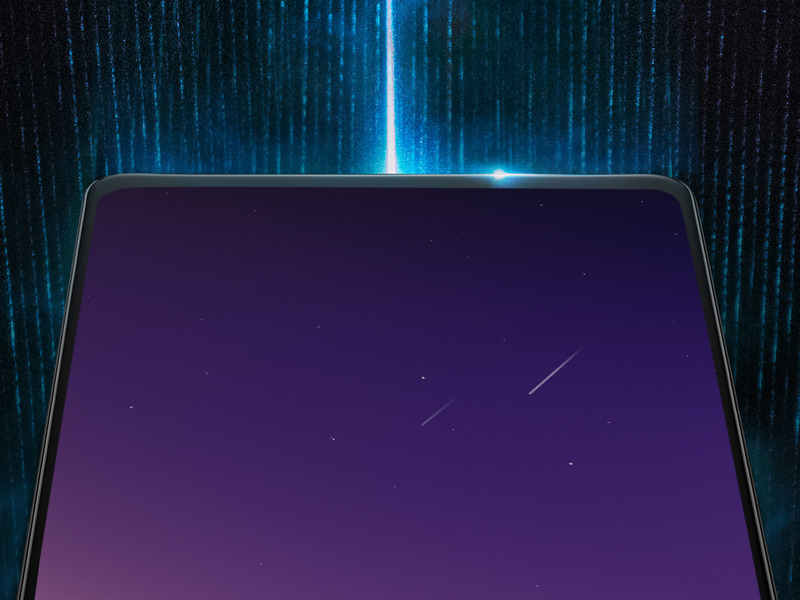 Now that Apple has totally ditched the bottom bezel on the iPhone X, the next frontier for smartphone makers is to eliminate the top bezel, which would result in an all-screen smartphone. 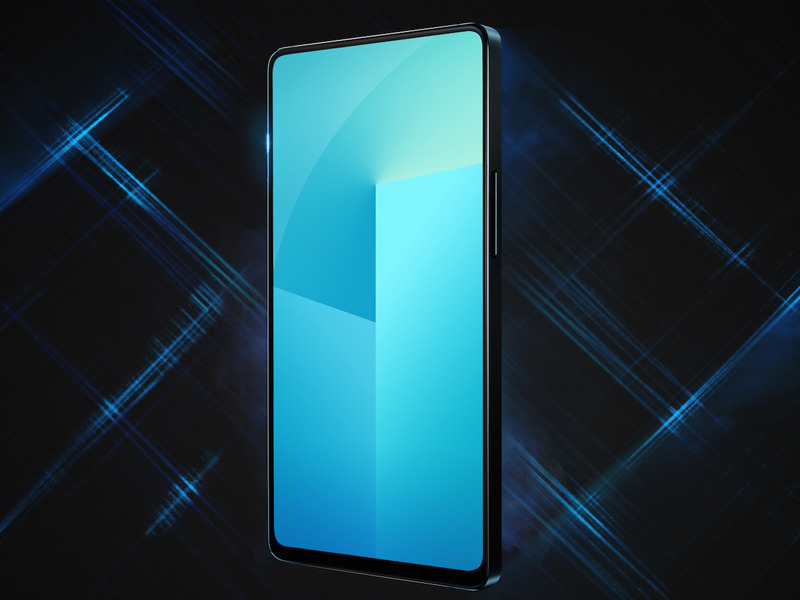 But no company has achieved this design without some sort of compromise – like a notch, or a slimmer top bezel – to fit all the usual sensors, earpieces, and selfie camera. The Vivo Apex Full View concept phone has no notch, no ear piece, no visible selfie camera, and a near-non-existent top bezel that’s narrower than on any smartphone so far. 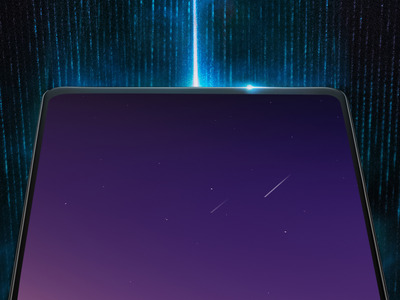 If any smartphone maker could make a phone without a notch, I’m assuming it probably would – especially Apple, which likes to ditch things that interrupt the beautiful designs of their gadgets, like headphones jacks on iPhone and ports on Mac laptops. I don’t mind the notch so much, but it’s absolutely an interruption of the iPhone X’s otherwise seamless edge-to-edge display. So, how does a Vivo phone make sound if it has no earpiece? Instead of a traditional earpiece with a speaker, the Vivo Apex Full View uses bone conduction technology that conducts sound vibrations from the phone right to your ear drum. Google actually tried using this same technology for its Google Glass head-mounted display, which also used bone conduction to communicate with the user. How about the selfie camera? It hides inside the phone and pops out when you need it, naturally. Still, while innovative, there are a lot of concerns about a selfie camera that pops in and out of a phone. For example, it’s a whole new moving part that can break and needs repairing. And perhaps it doesn’t pop out quickly enough for those spontaneous selfies. Still, no notch, though. Vivo’s concept phone is the closest thing we’ve seen to a truly bezel-less, all-screen smartphone. But it’s still a concept for a reason. Of course, other companies like Samsung and Apple are also innovating. They have been able to introduce new phones with exciting features year in and year out. But they’re not likely to risk introducing new features that aren’t fully ready. After trying out Vivo’s hidden fingerprint sensor – which comes from a company called Synaptics – I can easily understand why big companies like Samsung and Apple haven’t yet implemented them. It worked, but perhaps not quite at the level that companies like Apple and Samsung demand. And those companies must also produce millions of devices for their global customers – Vivo phones aren’t widely known, or as widely available. At the same time, I can’t say that the iPhone X’s Face ID is entirely perfect – same goes for Samsung’s facial and iris recognition on the Galaxy S8. I still have to fully test the Galaxy S9’s improved facial and iris recognition. And so, it’s good to see up-and-coming companies like Vivo putting pressure on the incumbents to innovate. Competition will drive innovation, which means it’s only a matter of time before we start seeing see more futuristic designs from our smartphones.